Happy World Orienteering Day to everyone! Hopefully you are able to get out and enjoy some orienteering in one of the many different types of terrain Canada has to offer. I spent the past weekend at the Sage Stomp Training Camp up at McQueen Lake. 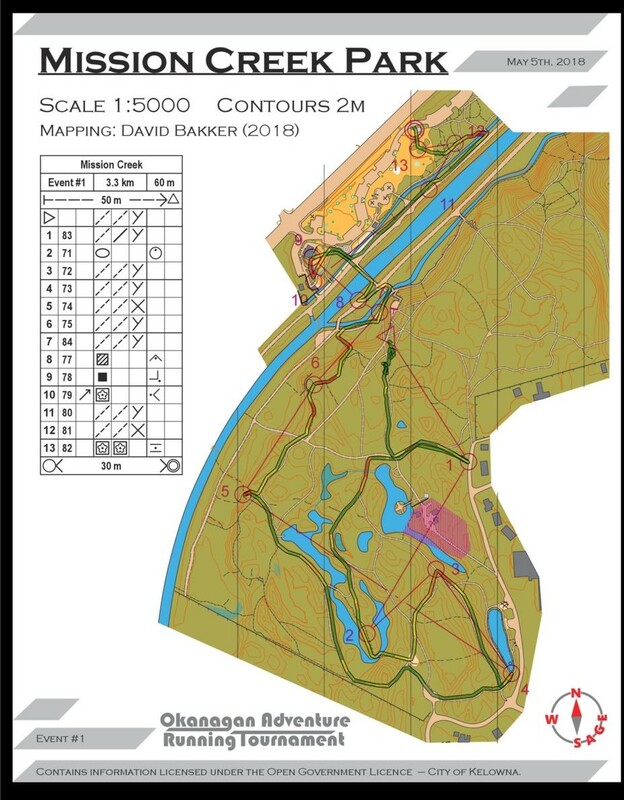 It was great to get out on some maps and get some good training hours in as I have not done too much orienteering of late. I would love to tell you all about the event but I will leave that up to a separate blog post of its own. Some of the orienteering adventures I am most looking forward to in the coming year are the Junior World Orienteering Championships in Hungary in July as well as the North American and Canadian Orienteering Championships in Whitehorse this fall. As this will be my first time attending JWOC, I am really looking forward to experiencing the atmosphere of such a big international event. The terrain will also be totally new to me so that will be a great experience. I have heard it is hot in Hungary so hopefully the hot weather we are having now in the Shuswap will pay off and result in an ability to run in hot conditions. 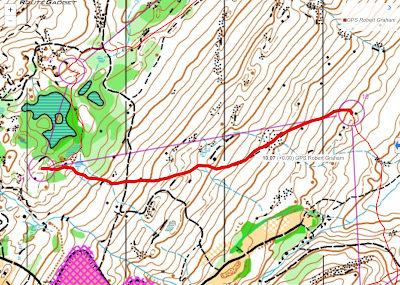 The North Americans also look like a great event with complex terrain that is sure to be challenging and have me confused over things. There are also many other great hiking, biking and exploring opportunities in Whitehorse that will make it a great trip not only for orienteering but for all outdoor adventures. I hope that everyone has some orienteering opportunities to look forward to as we begin another great orienteering season. Organized by HPP members Rachel May, Alexander Corbett, and David Bakker, the Okanagan Adventure Running Tournament was held in Kelowna BC on May 5th and 6th. Taking place in a City that hadn’t had an orienteering event since the mid 1980s, it featured 7 sprint races on brand new maps across 2 days. In this post you’ll get the competitor’s experience of each race (written by Pia Blake), and the organizer’s experience (written by David Bakker). We hope you enjoy it. David: This event was a tricky one for the organizers that changed a lot throughout the planning process. 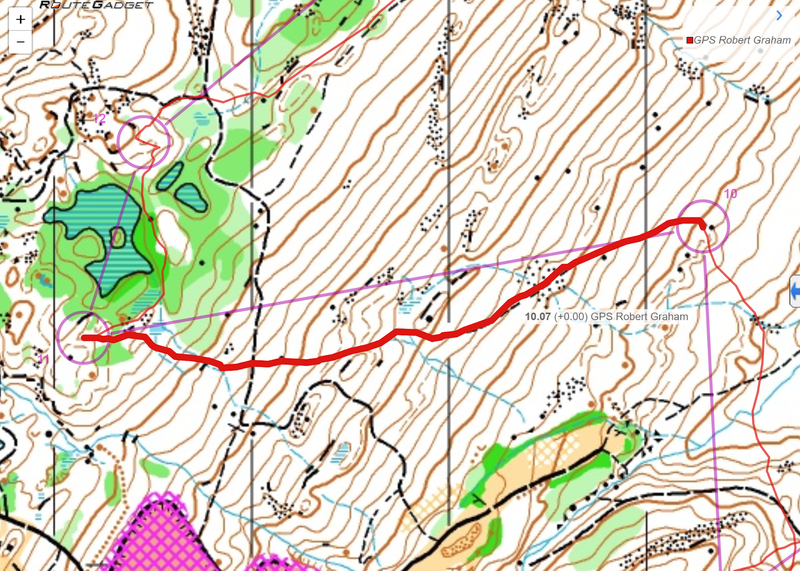 Initially planned to be a forest sprint since there is a large amount of interesting contour detail in some beautiful pine forest, our plans were dashed when our permit was confirmed with the condition that we were not allowed off trail. We considered just not running an event in the park at all, but decided that it was still worth it to have a race, even if it was restricted only to trails. Nonetheless, it was time to throw out the planned courses, and start again from scratch using just the trails. Also time to re-map, with the forest in olive green and out of bounds. Naturally, this happened around 3 weeks before event day, so it was a bit of a rush to get everything done. As usual, the course went through massive modifications throughout its development, and was shortened significantly. Even still, it was little bit too long, with the winning time longer than the 12-15 minute range required for a sprint (this would become a recurring theme of the weekend). Pia: This first event was a great one to start on. Even though we were restricted to trails, Rachel had planned a fantastic course! There were a number of legs where I hesitated, or was unsure of the best route. And a number where, once I finished, was certain I had chosen wrong. 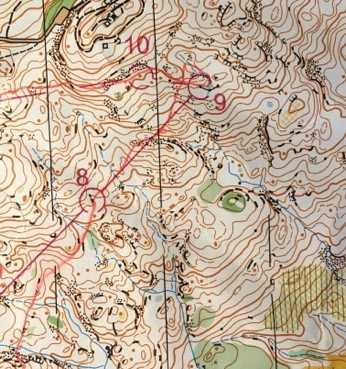 Because the forests were out of contention, the focus had to be set on climb and distance, rather than looking at all the smaller details of a usual forest sprint. The size of trails was also definitely a factor, with the larger, straighter trails taking precedence over the smaller winderer ones. In particular, I think going to 4 and 7 I could have chosen smoother routes - avoiding the back-tracking and steeper hills. Pia: Going into the farsta, I felt my energy rapidly dimming. I had survived the heat of Mission Creek, but it was much more present at Okanagan College. This was not helped by the lack of trees, and later time of day. But, we rarely get mass starts in Canada, so I tried to push physically. For such a small area, the complexity of buildings, flower beds and roads made for the perfect farsta arena. Technically, I maintained decent flow, but struggled towards the end in keeping my running up, and was glad to flop onto the grass at the end. 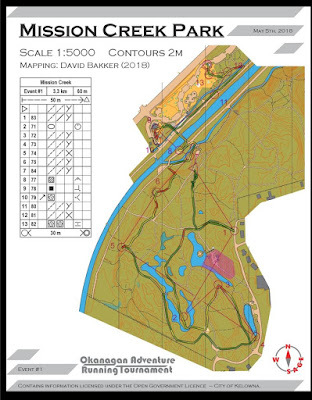 David: Initially planned as another individual start classical sprint using a larger area and some neighbourhood streets, we were never able to get courses that we were happy with. Changing it up, the organizers decided to add a FARSTA into the event program, and are we ever happy we did. 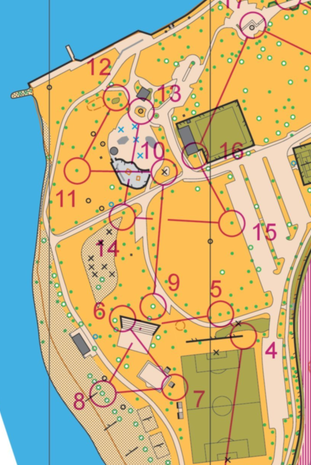 This is my favourite event of the weekend: what beats a chaotic mass start, forked loops, and a technical area with interestingly shaped buildings? Pia: Feeling physically drained and knowing that this race was flat and less technical, I made the choice to slow down in the hopes of having a great 4th race of the day. Because the terrain was flat, and most controls were on point features, the compass became very useful. David had also added lots of direction changes for maximum confusion. Add in locals playing basketball, doing yoga, and walking at leisurely paces, and maintaining total focus became all the more challenging. The very end was the most interesting section, with a terraced garden and walls. Reading of the control description was very important for these few controls. Many of the mispunches of the race took place here! David: I drew the short straw of the course planning duties, and ended up with this event. I found it quite challenging to make an interesting course in this almost perfectly flat, nigh-featureless (except for single trees!) park. To try to add some routechoice, the event was initially planned to started further south, and had several routehoice legs through some oddly laid out streets, and then over a creek using a pedestrian bridge to near control #3 on the final course before taking a more direct route through the park to the same finish location. Unfortunately, due to a rising creek and preventative flood measures, a number of trees were taken out, our planned courses decimated, and the pedestrian bridge was closed. Back to the drawing board, and the course seen above is the final result. Pia: The last race of the day! I was suddenly feeling energised, and started behind Tori Owen and Emma Sherwood. With fast paced start intervals, I made it my goal to catch the two of them. Some of the legs, we took different routes and ended up arriving in the same order, but I was slowly gaining. My legs felt fast, and technically I was having a good race, so by the time we reached the mandatory untimed crossing of 16-17, the three of us were running together. Suddenly, the pace was pushed with all of us feeding off of each other, but a poor route over the hill to 20, and Tori pulled ahead, with Emma and I trying in vain to catch her again on the last couple faster running legs. Ice cream and a swim in the lake rounded out the end of the first day! David: Using a large portion of what the downtown core of Kelowna, the biggest concern with this event was traffic. A condition of our permit with the City of Kelowna was that no traffic would be impacted, so only one major road crossing was allowed, and it was forced to be a untimed crossing manned by a crossing guard. Planning courses that avoided road crossings, challenged competitors with interesting routechoices (I’ve always wondered, is this one or two words?) and technical map reading, while avoiding areas undergoing construction (more of which seemed to pop up every time I went back to the map to fieldcheck it) was tricky to accomplish. To add a further challenge, we were unable to use some of the most interesting terrain, as the private-landowner never got back to us on whether we could use their grounds (the large hotel complex to the right of the lagoon in which no controls are planned). David: Only around half the maps (let alone the courses) were done at the start of April, but then exams hit, and mapping and organizing was set aside for a few weeks as spare time disappeared and study time grew exponentially. By the time I got back to mapping after finishing exams, there was a bit of a time crunch. This was one of the last areas to be mapped, and was done in less than three days about 10 days before the event. Initial courses were planned over the next 2-3 days, field-checked early the next week, and two days later maps were printed. Not a bad turnaround time! Unfortunately, during even just that 10 day span, vegetation grew like crazy! Trails shrank and became more indistinct, sunflowers bloomed across the entire map, and running speeds slowed down dramatically as undergrowth thickened. As a result, the event ended up as more of a short middle distance than a forest sprint, but received positive reviews nonetheless. Pia: Academy Hill was probably my favourite race, perhaps because I am a fan of forest running! I started in a heat with Tori Owen, Stan Woods and Kevin Matrosovs, and promptly lost half of them by taking the trail around to the first control instead of crashing through the woods. Because we were the second to last group to start, the first butterfly loop was a scene of chaos with people running in every direction. Luckily, I was able to zone out, finish the first set cleanly, and chased Tori up the hill to the second butterfly loop. While the first was dominated by contours and trails, the second was surrounded by clumps of denser green forest. I departed the second butterfly loop with Tori ahead, catching occasional glimpses of her through the trees. Unfortunately, I was unable to catch her, but was pleased with the race and my placing - 2nd in my group meant I advanced to the top 5 for the semi finals! Pia: The semi finals was a very urban sprint, with even more complex butterfly loops than before. This time, my heat consisted of myself, Tori Owen, Tori Borish, Graeme Rennie, and Adam Woods. I knew I was likely to finish last or second last, but I was aiming for a clean and smooth race. The first few legs were relatively straightforward, and then we hit the butterfly and I almost had to stop to figure out where I needed to go! Unfortunately I did not have the smoothest race, but once I chose a route, I stuck with it and finished just behind Tori for the third time in a row. David: We wanted to save the University of BC Okanagan Campus (UBCO) map for our last couple of events because it is some of the best terrain in the entire City. A hilly campus, it has a mix of different sizes of oddly shaped buildings, breezeways, fields, and is surrounded by an open pine forest. With all three of the organizers having attended this University for the past year (and will be for the next couple of years as well), we knew the campus inside out, so were quite confident that we could plan some enjoyable courses. The biggest challenge leading up to the event was construction, forcing us to replan/modify courses several times. On race day, after the Academy Hill event took far longer than expected, we had to push back the start of this race. Despite the delay, everyone enjoyed this race, and we managed to keep the winning time below 15 minutes too! Pia: The warm-up to the final start was a lot of uphill, starting with a first butterfly in the forest, and then a mad dash down to the university. The first controls went well - my compass was good, and I had nice flow through the controls. Turning uphill again, my calves let me know that they were unhappy with the amount of running I had been doing, so I slowed down and decided to focus on picturing my control circle and evaluating all the routes. I was slow and steady, and despite one last, painful uphill, I finished the course glad to have been able to participate in such an excellent weekend of orienteering - the perfect end to a long semester of university! Thank you David, Rachel and Alexander, and all the other volunteers who helped to pull this off! I would love to go again, and would encourage everyone else to as well. David: The organizing team had some big debates about how to plan this race. We each had a few key legs that we wanted to incorporate, and knew that we wanted several butterflies, but a section at the end of the course without forking but with some interesting routechoices. One of the challenges was that this part of the campus is very hilly, so we struggled with setting courses that used the best parts of the terrain while keeping the climb manageable. We ended up setting a long walk to the start around and above the terrain we were using. The course started in a picturesque ponderosa pine forest, and then moved through the university residences before sharing the same finish location as the previous race - making things a lot easier logistically. A huge thanks to all the volunteers who made this event possible, and thanks to all the participants for coming to the sunny Okanagan! If you want to go check out all the maps and results for the weekend, head over here! Did you know there are four towns bordering each other that all have Hampton in their name? 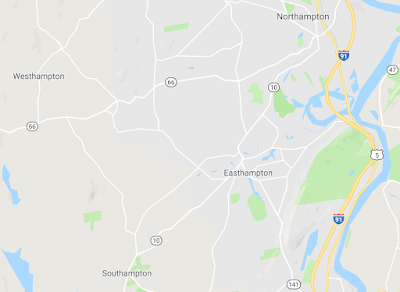 Why is the US so uncreative with their city names? We may never know, but what we do know is that they have some stellar orienteering! 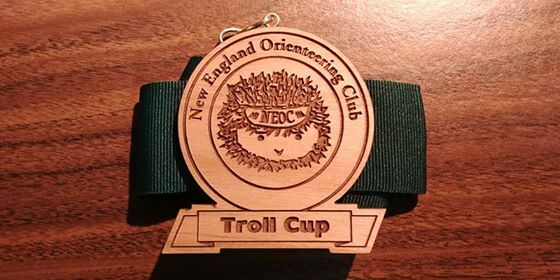 Last weekend was the Troll Cup at Mt. 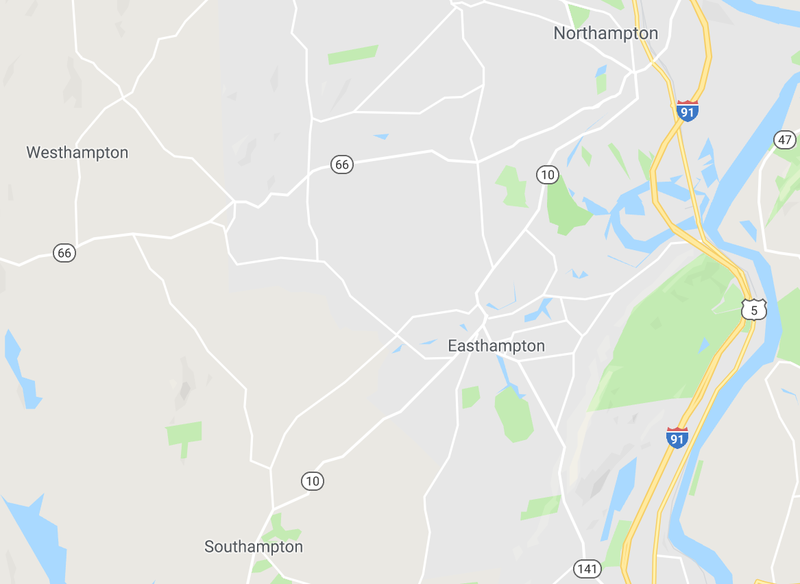 Tom located between, North, South, East, and Westhampton Massachusetts. The event served not only as the Troll Cup, but also doubled as the US Junior National Champs. So there was a large turnout of high school students from across the country. Interestingly there were a couple schools from Florida, Georgia, and Texas, all places I didn’t even know they had orienteering. The terrain was typical of New England. Open, hilly forests scattered with cliffs and rocks, one of my favourite types of terrain. The event was a two-day classic with a chase start on Sunday. Combined with the fact that this was my first meet of the season, I was just aiming for a clean race on day one. That wasn't so hard because the navigation was pretty easy, most legs were on bare hillsides, and to the disappointment of my legs, many going straight up. The whole course went very smoothly and I managed to finish in second place about 3 minutes behind Jordan Laughlin so I had someone to chase on Sunday. We returned to Mt. Tom but this time we weren’t greeted by a bright sun but clouds and drizzle. Never the less there was a race to run so time to warm up. The course day was more around the top of the mountain (but still didn’t disappoint with lots climb) and ramped up the re-entrants and cliffs. As well mixed up the start with your start time being determined by your day 1 start – I didn’t have a great first race so was pretty far down the order. The terrain was quite enjoyable. It was dominated with large spurs and re-entrants that you could use for macro orienteering, along with lots of intricate streams, cliffs and boulders that you had to use around the control. Finally, spring just starting to start so the forest was quite runnable as there was little to none underbrush. Overall had a decent race with a few errors on my direction and route choice. For a more detailed look at the courses you can check out the RouteGadget for Day 1 and Day 2. Before I go off to Europe to train for 2 months for JWOC from Calgary, I decided to make a stop part-way to a place that I have never really trained at before..... Ottawa! So my forest running season begins here this year our capital. I am currently engaged in a week of training with two local SI races, in the various types of terrains that there are to offer. 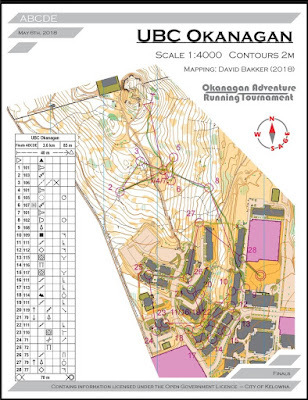 Running on high quality maps like Gatineau Park and Carleton University, is the warm up for this summer's orienteering competition season, the preparation for JWOC, WUOC, Oringen, and the North American Championships. In Finland, as the snow melts, as the days get the longer, as the spring flowers come poking up through the leaves, we orienteers get ready for Tiomila. It's one of the first big relay competitions of the season and for Finns it means a boat trip to Sweden and many hours of race speculation and team order discussion. 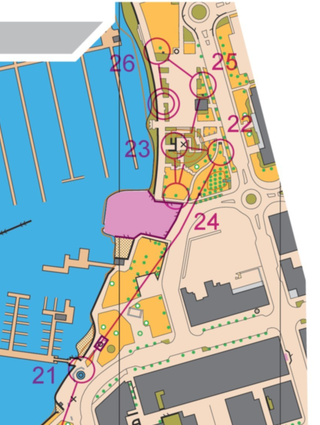 The women's race consists of 5 relay legs where all are forked except for the 3rd which is mega-long and unforked. The line-up for Angelniemen Ankkuri's ladies team this year was Selja, Heini, Sanna, me and Sanni. 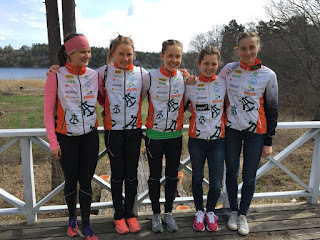 With orange, green and white ribbons in our hair, we wished each other "tsemppiä" and "see you at the changeover" and then got down to focusing on our individual jobs in this team event. It was a really wonderful event to experience together as a team, supporting and cheering on each other, as well as an individual, alone while racing through the forest but knowing that each spiked control is one for the team.